The Child Safeguarding Practice Review and Relevant Agency (England) Regulations 2018 - is new guidance for sports organisations which has been prepared by DCMS. Local safeguarding partners are required to make arrangements for themselves and any identified ‘relevant agencies’. Local sports organisations may now be called upon to join safeguarding partners in their formal arrangements, and if so are required to comply. The guidance which can be downloaded below is intended to inform sports organisations about what this may mean in practice. In most instances the ‘relevant agency’ is likely to be an organisation which is large enough to support local strategic safeguarding plans and developments, for example CSPs, leisure providers or perhaps some larger professional sports clubs. In order to fulfil their responsibilities in relation to safeguarding and child protection cases all sports providers should be aware of forthcoming changes in local statutory safeguarding arrangements. The role of national sports organisations (e.g. NGBs) will be to support and advise local clubs and providers in the event of them being approached to as a ‘relevant agency’, and to provide them with a level of information about these changes they consider appropriate. The roles of CSPs and other more strategic local sports organisations may include responding to a request to become a ‘relevant agency’ and collaborate with the safeguarding partners work, as well as to provide advice and support to local clubs or providers on this issue. Please download the guidance below. 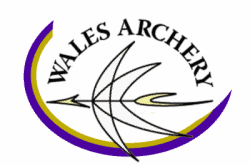 If you require further information please email enquiries@archerygb.org.